Thanks to the power of data, government officials in the Democratic Republic of the Congo (DRC) discovered that 27% of health workers receiving government salaries and 42% of those receiving risk allowances in two large provinces—Kasaï Central and Kasaï—were ghost workers. In response, the Ministry of Public Health rapidly reallocated funds to cover 781 salaries and 2,613 risk allowances for real health workers, such as nurses and midwives who had previously been underpaid or uncompensated. Scarce resources make it challenging for the DRC to pay its public-sector health workers regular salaries. About half receive monthly stipends called “risk allowances” instead. And some subsist on informal means of compensation. Ghost workers—individuals who are on the payroll but don’t show up for work, or may not even exist—are making the situation worse. The problem of ghost workers in low-income countries represents a longstanding blight on health workforce budgets, and a drain on limited domestic resources. 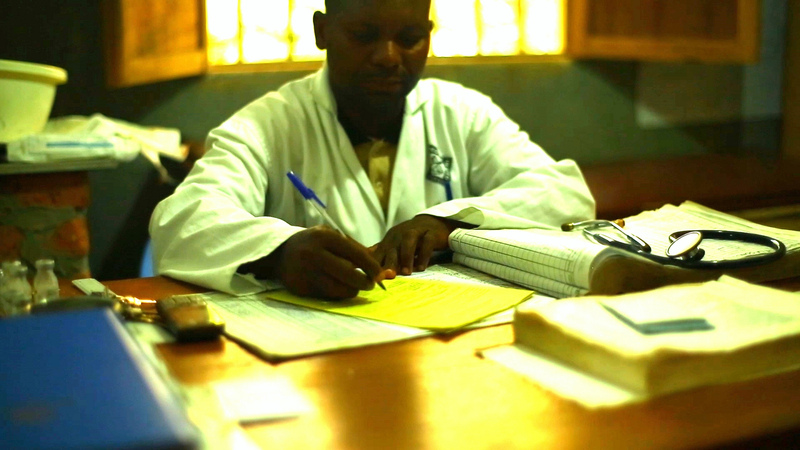 The DRC is taking action—and improving overall management of its health workforce—by rolling out the iHRIS human resources information system, with help from IntraHealth International. Officials can compare iHRIS data on actual health workers—including contact information, photos, and job statuses—with data from the Ministry of Finance’s electronic payroll management system to identify potential ghost workers. The dramatic results of the DRC’s first payroll analysis were published last month in the journal Health Policy and Planning and presented at the Fourth Global Forum on Human Resources for Health. Having the iHRIS data and seeing them used to rationalize spending on health workers motivates provincial health officials, who are on the lookout for practical ways to take on greater ownership of human resources management and provincial-level budgetary decisions. The Ministry of Public Health has expanded iHRIS into two additional provinces (of the country’s 26) and the government is committed to a national rollout. While the DRC suffers from a severe shortage of health workers, having accurate data on those that are serving—and further addressing the scourge of ghost workers—will go a long way toward making best use of domestic resources for health. The funding for iHRIS in the DRC is supported by the Department for International Development-funded project, Access to Primary Health Care, led by IMA World Health. IntraHealth developed iHRIS with funding from the US Agency for International Development. Establishing national health workforce registries such as iHRIS and ensuring the most effective use of limited resources by eliminating ghost workers and other unnecessary costs are both policy options recommended by the World Health Organization in its first Global Strategy on Human Resources for Health: Workforce 2030.